Facilitates EHR adoption, ARRA “meaningful use” data exchange, and ICD-10 conversion for healthcare providers and vendors. Atlanta, GA, March 1, 2010 — Health Language, Inc. (HLI), the global leader in medical terminology management, has launched the Language Engine Access Portal (LEAP), which enables Web access to terminologies, code sets and management tools. The portal will allow hospitals, physician practices and their vendors to easily locate, download, update and extend terminologies without installing a separate application. Health Language demonstrated LEAP during the Healthcare Information and Management Systems Society (HIMSS) conference March 1-4 at the Georgia World Congress Center in Atlanta. LEAP supports interoperability, meaningful use requirements, ICD-10 conversion, evidence-based care, quality reporting, optimized billing and other key healthcare information technology (HIT) initiatives by leveraging Health Language’s industry-leading medical terminology tools. 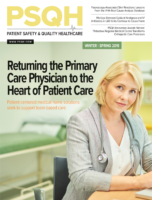 Hospitals and physician practices can access LEAP directly through a subscription. Vendors can provide the portal services under Health Language’s name or their own private label, giving customers a convenient, cost-effective option to create their own content. Health Language will automatically update terminologies and code sets to reflect changes made by their governing entities, removing an onerous task that many smaller providers and vendors are not equipped to manage on their own. Long a trusted global supplier of middleware for leading health institutions, vendors, health ministries such as the UK’s National Health Service, and standards organizations including the International Health Terminology Standards Development Organisation (IHTSDO), which owns SNOMED, Health Language is now offering organizations ranging from large, multi-location hospital systems to clinics and physician practices, an affordable, Web-based medical terminology management option. With a single click they can download specific clinical and administrative content and seamlessly update their existing systems. All changes implemented by standards bodies are immediately available and multi-site systems can create and share customized problem lists. Blogs, news and discussion forums to collaborate within and across organizations. LEAP includes several features that directly ease proposed meaningful use reporting requirements. These include data exchange; downloadable quality measures; and tools to maintain active problem, medication and allergy lists. Additional information about the Language Engine Access Portal (LEAP) is available at www.healthlanguage.com. Denver-based Health Language, Inc. (HLI) develops and delivers state-of-the-art software solutions that automatically incorporate medical vocabulary and coding standards into healthcare information technology (HCIT) applications. HLI’s Language Engine (LE) allows centralized access to medical terminology standards and generates mappings to create a common pool of standardized codes and concepts that enhance patient safety, facilitate clinical outcomes analysis and accelerate reimbursement. It also provides standards for modeling, storing, updating and distributing information consistently for interoperability between hospitals, regions and countries. For more information, visit www.healthlanguage.com or call 720-940-2900.